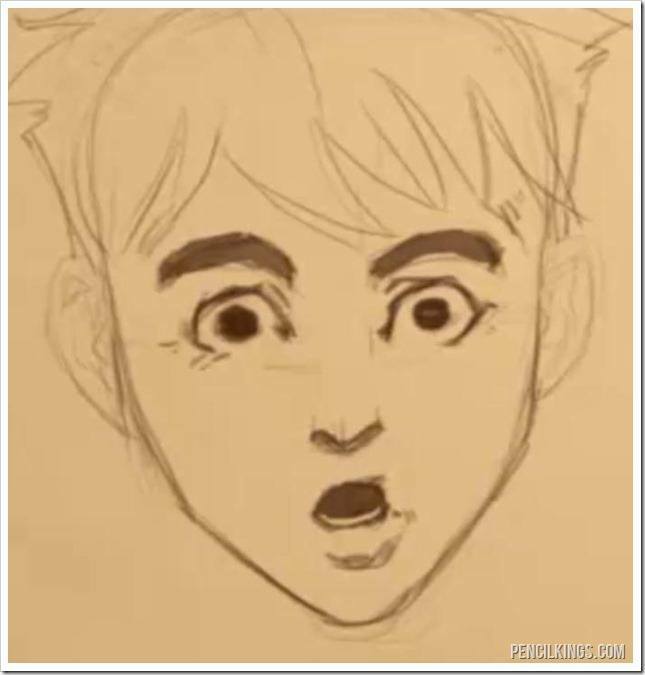 In this how to draw expressions video lesson, you will learn how to draw a surprised face! 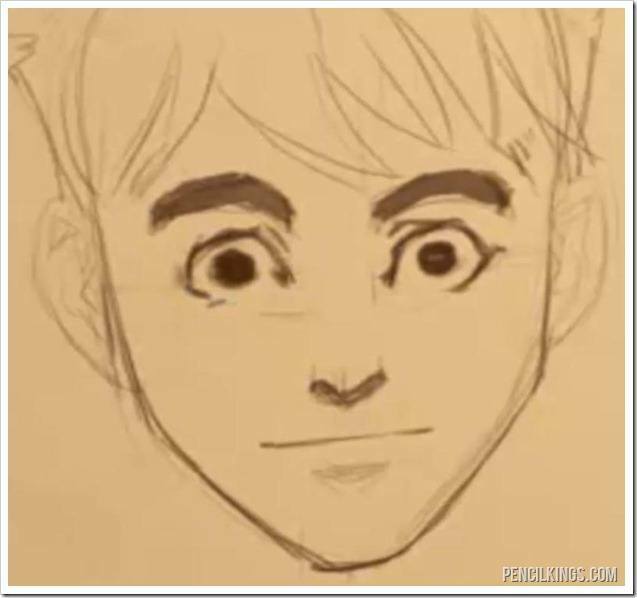 Start off learning how to draw a surprised face by drawing the eyebrows raised up on the head. They’re going to be raised up so much that you can see a little indication of wrinkles above the left eyebrow. Depending on how detailed you want your expression drawing to be you can also add in some additional wrinkles to the forehead. If you are going to add wrinkles, just remember that they can add a lot of age to your character, so use them sparingly unless you want your face to look really old. The next thing to adjust is to open up the eyes. The pupil is going to stay the same size, though some artists choose to shrink the pupil a little bit to heighten the shocked expression. Adjust and lower the the bottom of the jaw to accommodate the open mouth. In this example drawing the mouth is kept quite small and the upper lip is left in a neutral pose, but because of the opening of the jaw the sides of the mouth are going to be pulled down. Add a little shading to the lower lip and you’re all finished learning how to draw a shocked expression. 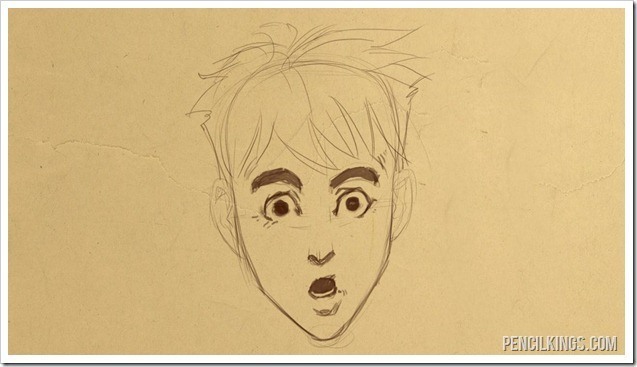 We hope you learned a lot from this article on how to draw a surprised face. This lesson series on learning how to draw expressions is almost finished. There’s only two more lessons to go and in the next guide you’ll be learning how to give you characters a confused expression.